I've used Airbnb several times now and I am never disappointed when it comes to the service and the overall experience. Firstly it's all done on an app which is so easy and you can search for a place to stay all over the world. It's perfect for a city break or even a business trip. Secondly, it's like having your own place, and I always make sure to choose clean minimal decor apartments as I'm fussy with decor and of course to take nice photos for the blog! This apartment is in South Woodford which is a great area for you to stay in if you're visiting London but don't want to be around the busy areas. The nearest tube station was a 5-minute walk away and it's about 15minutes to Liverpool Street Station directly on the Central Line. 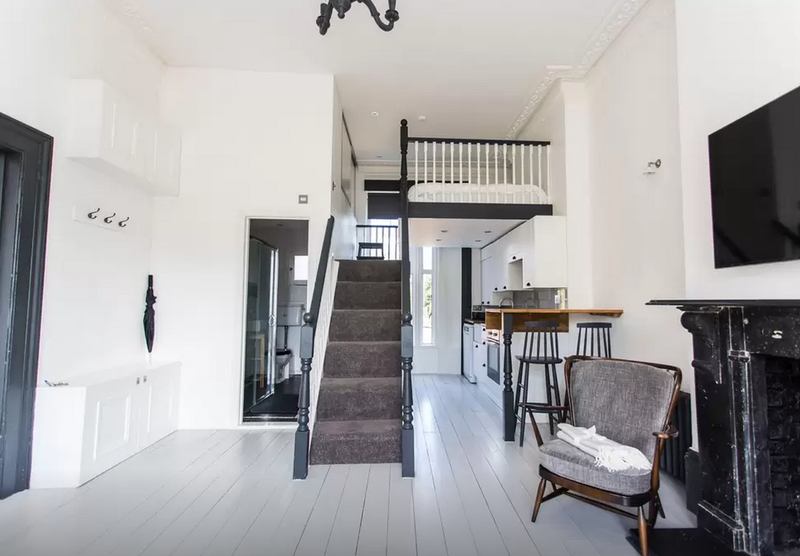 I love how they basically converted a massive high ceiling room into a one bedroom apartment with it still being spacious. We have a thing for indoor balconies looking over the living room! It's the perfect space for a couple. The high windows bring in so much light and I fell in love with the vintage looking brown leather sofa. The decor is minimal but still has a cosy feel to it, white hardwood floors are now a must when I move out! 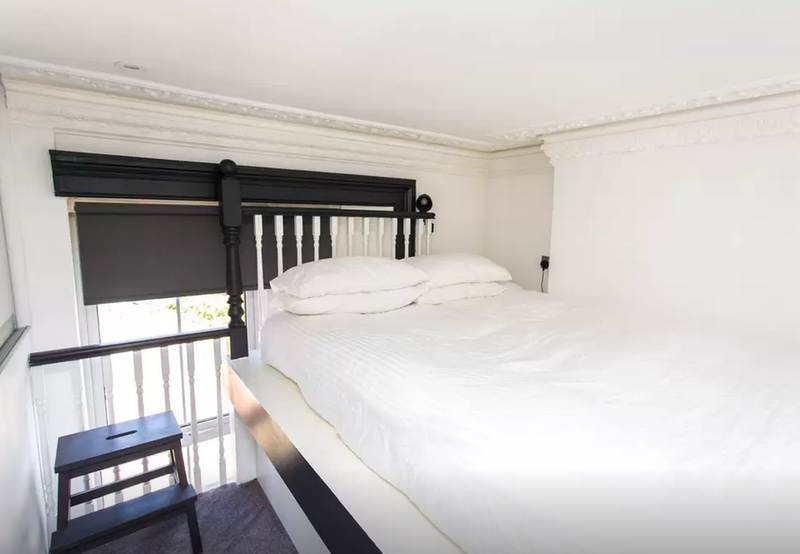 The bed takes up the space of the second floor but there is a big wardrobe space in the wall opposite with a sliding door. The kitchen and bathroom were clean and minimal and perfect size for the apartment. 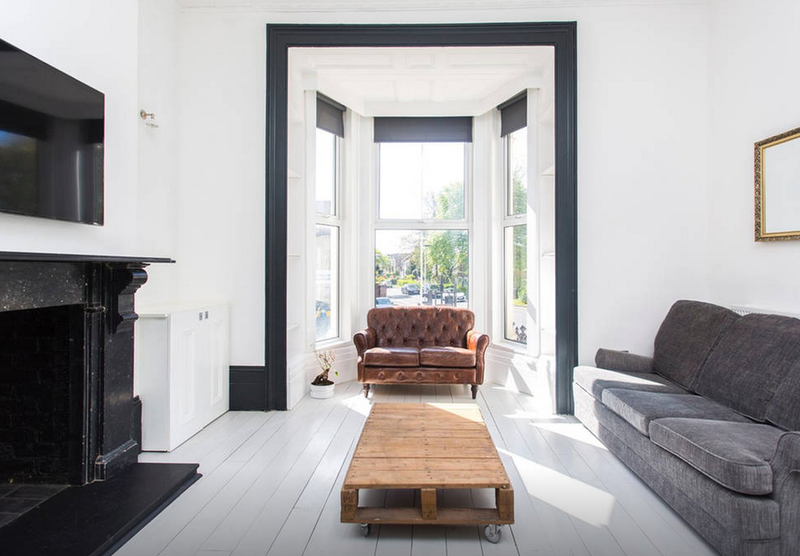 I'll link this apartment below along with a discount code for your first booking!